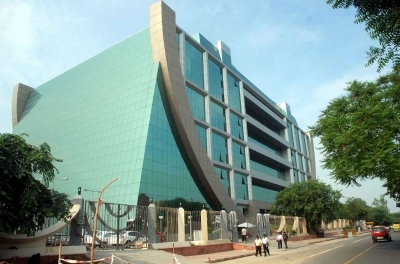 New Delhi Sep 14 (IANS) The CBI on Friday arrested an Under Secretary of Ayush Ministry R.K. Khatri on charges of receiving Rs 10 lakh bribe for clearing pending bills of the complainant and allow him to continue his work an official said. Khatri who has additional charge of Managing Director Indian Medicine and Pharmaceutical Corporation Ltd under the Ministry was held red-handed while accepting the bribe on the complaint of an agent according to the Central Bureau of Investigation (CBI). "Khatri was accepting Rs 10 lakh when he was held on the complaint of an agent who alleged that the official sought the bribe on the pretext of clearing his pending bills and allowing him to continue his work " the CBI spokesperson said. Searches are being conducted in the office and residential premises of the accused said the official.